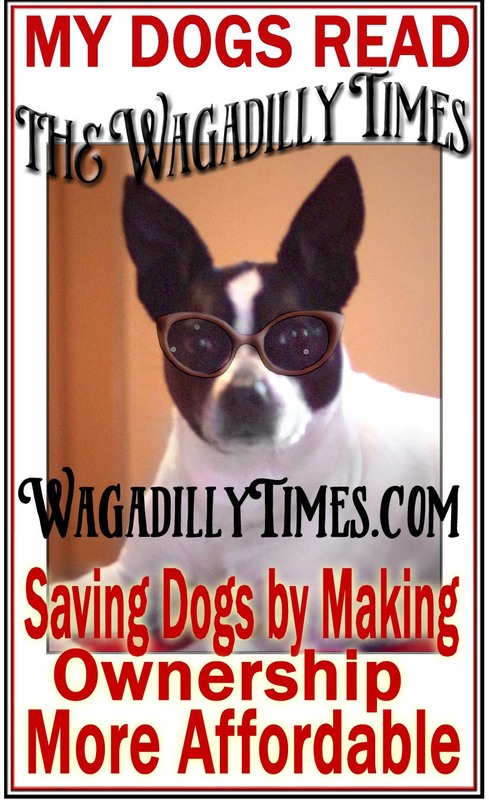 FREE Downloads to Free The Dogs! 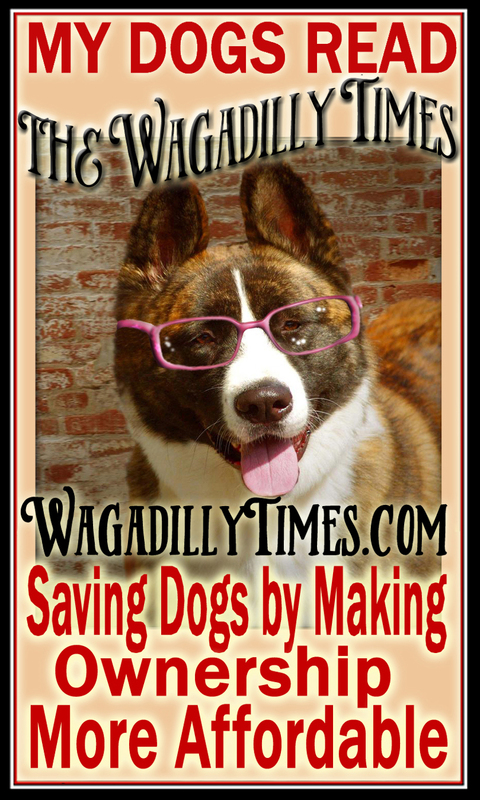 SHOP the Wagadilly General Store! The NEUTER – SPAYED PARADE ! They can put you in touch with the appropriate resource. WOMAN TO WOLF – Join the Pack! WOMAN TO WOLF! Woman to Wolf is a Fantastic Class that Empowers Women! Become a Strong Pack Leader for your Dog(s) and watch your new Power, Confidence, Presentation and Skills change the way you are treated by your dog(s), your kids, your spouse, your boss… and the Whole World! ***** IF POSSIBLE, SHOOT VIDEO ON YOUR PHONE SHOWING YOU DOG’S “ISSUES” AND BRING IT TO CLASS. BEST IF YOU HAVE SOMEONE ELSE VIDEO YOU AND YOUR DOG! THE MOST VALUABLE PART OF THIS WOULD BE FOR ME TO SEE WHAT YOU DO (OR DO NOT DO) BEFORE, DURING, AND AFTER THE DOG MISBEHAVES. AND IF YOUR KIDS OR SPOUSE HANDLE THE DOG – THEN YOU VIDEO WHAT THEY DO. THIS IS NOT AT ALL MANDATORY, BUT VERY HELPFUL, IF POSSIBLE! GET READY FOR A SURPRISINGLY LIFE-CHANGING EXPERIENCE! WOMAN TO WOLF CLASS FORMING NOW! So, Four Hours for $45… such a Deal! 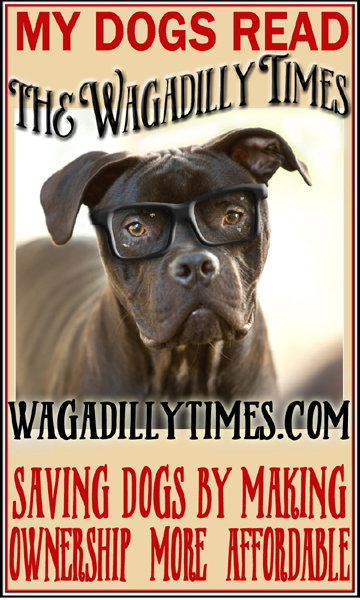 UPDATE: We are proud to announce that the Wagadilly Chair’s Winning Auction Bid was $400 ! (the highest price of the day) so that’s $400 Donated to the SPCA and we couldn’t be happier! If you have any ideas for Next Year’s Chair — speak-up! I found a tag inside the chair showing the date it was made… April 9th, 1987. So I wrote my own note on it and stapled it back inside the chair. If you’d like me to make a Custom Fabric for you, just EMAIL ME. I could make it from a photo, or could create a picture for you. IT TAKES A VILLAGE – AND WE NEED YOUR HELP! In partnership with Sagacity Productions and KET/PBS, we ask you to email your local PBS station to air this important documentary. We need your help to ensure we reach and stir as many hearts as possible…to save animals and recover our lost humanity. Ya’ got your Labradoodles and Goldendoodles… what about a Yankee Doodle? This is Athena – and here you can see how I transform a regular, not-too-interesting photo of your dog – into Fabulous Fine Art! I make the Background for your piece; we can decide together what this will be or you can leave it up to my imagination. I like to discretely put in your Dog’s Name and maybe the date. This can be with the barely-visible “embossing” technique, or it can be totally visible, or not there at all. COST? To get it to this stage and provide the image to you: $25 to $50 … one dog is probably only going to be $25. For that price I will provide the finished piece to you as a High Resolution Jpeg File of whatever size you want. You can then have it printed anywhere you want. Or you can have me take care of the Printing and send it to you. Or you can have me make it into a “Print Mounted to Wood” and send that to you. While your dog may not show all of these signs, it’s likely to feel some measure of discomfort. The same way moving can be distressing for people, moving can be a rollercoaster of emotions for your dog. Take the following precautions to ensure that your move with your dog will happen as smoothly as possible. Keep things as routine as possible. Dogs, much like children, thrive when they have a routine. Being able to anticipate what comes next helps calm their fears and prevent them from worrying. While your move may throw a wrench in some of your day-to-day activities, it’s important to try to maintain their routine as much as possible. Take them on their regular walks even if you are exhausted from packing. Keep their bed with them in the car during the move, and do whatever you can to assure your dog that while the house is changing, very little else is. Provide emotional support for your dog. Sure, Fido can’t speak your human language, but she can still sense that something is different. Under the stress of the move, your dog can pick up on the subtle changes in your voice, the variances in your pheromones, and all the new smells coming in from movers, real estate agents, and possible occupants. If you fail to provide emotional support for your dog, all these changes are bound to cause anxiety, which may lead to your dog acting out around the house. Instead of ignoring your dog during this transition, be sure to offer her emotional support and comfort. Your presence is their ultimate comfort. Talk to them in loving, reassuring tones. Give them their favorite treats or play their favorite game. It may seem silly, but taking the time to reduce your dog’s emotional distress can ease the moving process for both of you. Plan for the Big Day. When it’s finally time to get from Point A to Point B, your dog’s stress may be heightened. There are several things you can do to reduce their stress. Whether you have a little or a lot to move, the presence of movers picking up and setting down furniture, boxes, and more will be loud. Dogs are especially sensitive to these kinds of noises. Many dog owners find that Thunder Jackets help alleviate the physical symptoms of stress caused by loud noises, while other pet owners have their veterinarians prescribe anti-anxiety medications. In addition to preparing your dog, you should also prepare your movers. If your dog is wary of strangers, it’s best to have her stay with a friend or at doggy daycare while the movers are in the house. You can also put your dog in another room to reduce interaction. Talk to your movers about how to interact with your dog if she’ll be around They may have specific policies about what to do with canines when they’re working. While moving to a new house is exciting, it also comes with a fair share of stress. Being as sensitive as they are, dogs tend to pick up on this stress from their owners. By maintaining a routine, reassuring your dog, and preparing for the big day, you can alleviate stress and make the entire process smoother so you can get to enjoying your new home as soon as possible. This is where you should do your Holiday shopping! Millions of shelter animals, puppy mill dogs, lab/research dogs, chained dogs, street dogs, and those used in dog fighting rings, are at death’s door and without a voice. Because of the compassionate, life saving work of rescue groups, no kill animal shelters, fosters, volunteers and transporters, they will live to know love. Our project has been created to fund the needs of these abandoned dogs and cats, and all of the groups involved in saving them. With your support, we can make 2016 a great year and give 100% of the proceeds to 100 rescue organizations. Shipping is 100% free in the USA, and we ship internationally too! 100% of the proceeds are donated to Shelters. Custom Dog Food Bin – Love it! They not only make the Bin, but also will fashion whatever you want for the label! So it could be a picture of your dog, or a saying, or any design, art, or it could be the same as mine. They will also stain it and/or paint it – whatever you want. It’s on Wheels! So when I bring home a 50 pound bag a Kibble I wheel this bin over to the door and dump it in right there, rather than carrying the weight of the bag all across the house. Then roll it back where it lives. It could also hold canned food, there could be a drawer for bowls or treats – anything you choose. Mine is large – 2 feet tall and 16 inches square. If painted or stained it would have been $130. With the printed and mounted full color “label” it was $150. It’s important that you FOLLOW us! The more followers we have, the more Dogs we can Help! LOVE is Headed Your Way! You’ve Got to be Shedding Me ! Mother’s Day for Dog Moms! Gardening With Dogs – I CAN DIG IT! IT’S NATIONAL PET DAY ! Sorry, Fly – You Gotta’ Die! Episode 2 of The Mudding! How I Triumph Over Fleas & Ticks. Phase Two: ON the Dogs. 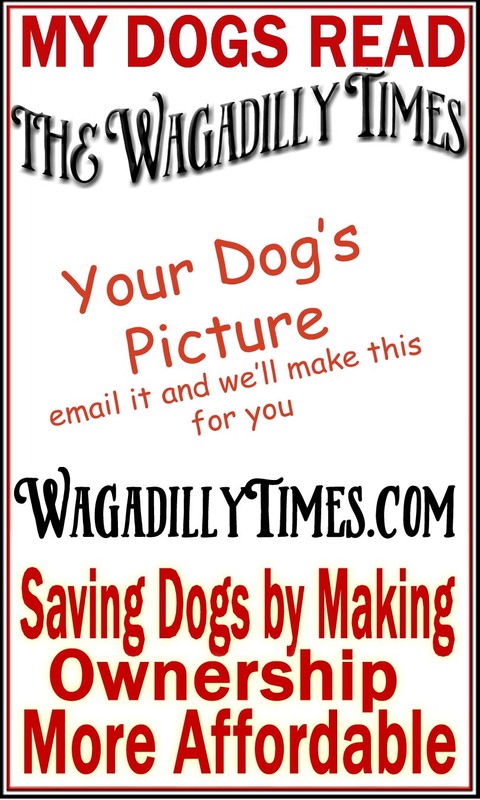 Mudding Madness Dog Photo Contest! Low Cost Spay & Neuter Resource! Best in Shelter ! Airing Tonight! Vaccinations – Oh, Yes You Can! Peachy Pups – Doggie Road Trip! See Me, Save Me, Get Me Home!